While the peacemaking process is underway, Harvest Bible Chapel does not presently intend to respond to further media inquiries. Our focus remains on seeking the Lord and ministering to our church family. While I understand the impulse to go quiet, the time to do that is after all action has been taken. HBC told the world James MacDonald was going to take a sabbatical and the leaders planned to engage in peacemaking. 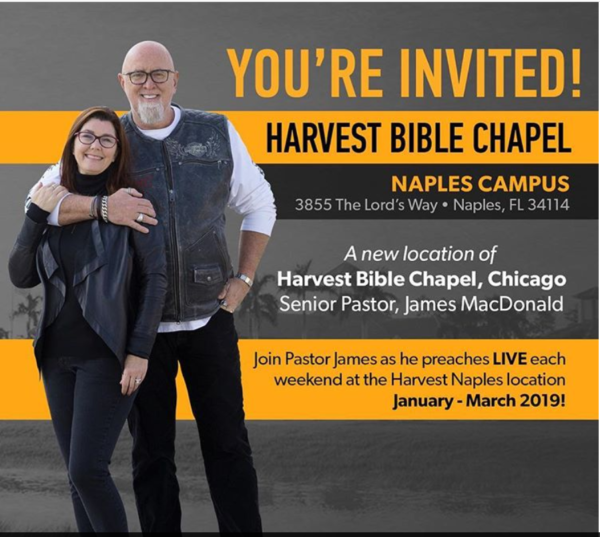 Then just a couple of days later, those same leaders fired John Secrest as pastor of the same church James MacDonald was advertised as a speaker. I asked Ms. Smith if MacDonald was still planning to speak there but didn’t get a response to that question. Julie Roys reported on her blog that the elders of HBC in Elgin, IL confessed to “shortcomings” in their handling of the situation at Naples. According to a source cited by Roys, no mention of Secrest’s firing was made at the Naples’ service. I don’t see how peacemaking is served by swiftly firing a pastor who expressed dissent as a reflection of care for his congregation. By their own admission, HBC elders and Rev. MacDonald have made numerous mistakes and they are still in place with MacDonald being given a sabbatical. Why didn’t Rev. Secrest get a sabbatical? Organizations don’t need to comment in order to communicate to the public. HBC is sending messages via their actions and silence about them and they are not about peace. If HBC really wants to make peace, start at the end and work backwards. Start with Rev. Secrest and a public apology and private conference to come to a mutual agreement about the situation there.